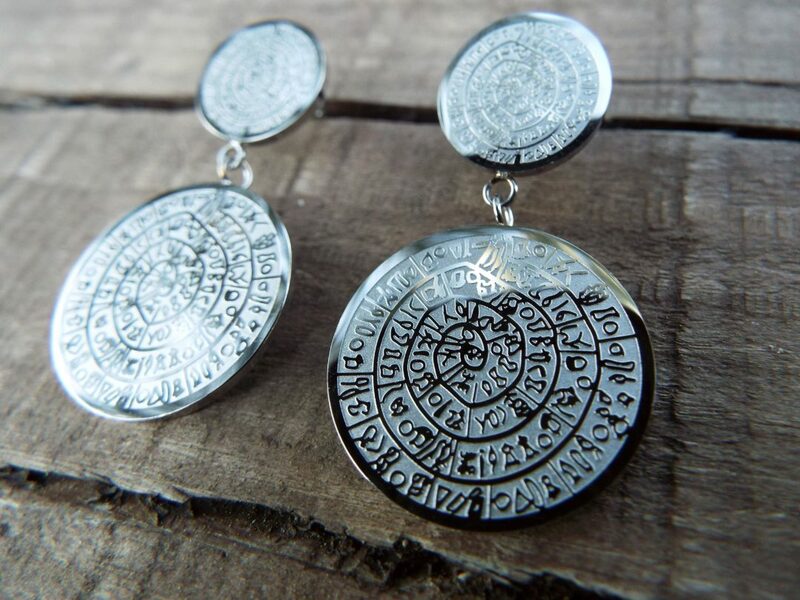 The disc of Phaistos is the most important example of hieroglyphic inscription from Crete and was discovered in 1903 in a small room near the depositories of the “archive chamber”, in the north – east apartments of the palace, together with a Linear A tablet and pottery dated to the beginning of the Neo-palatial period (1700- 1600 B.C.). 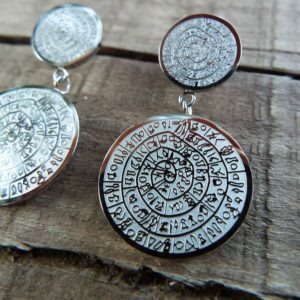 Scientists have been trying to decipher the mysterious “Phaistos Disk” ever since the 4,000-year-old clay disk was discovered in 1908 on the Greek island of Crete. 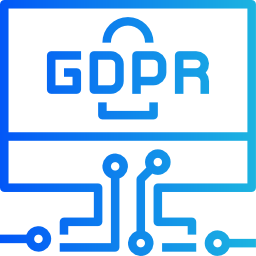 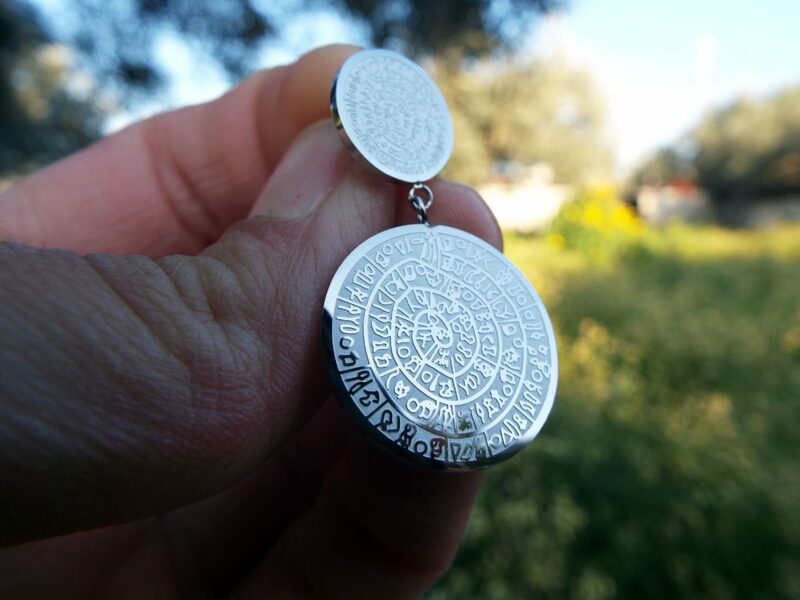 But no one seems to have been able to translate the mysterious language inscribed on the disk, which dates back to 1700 B.C. 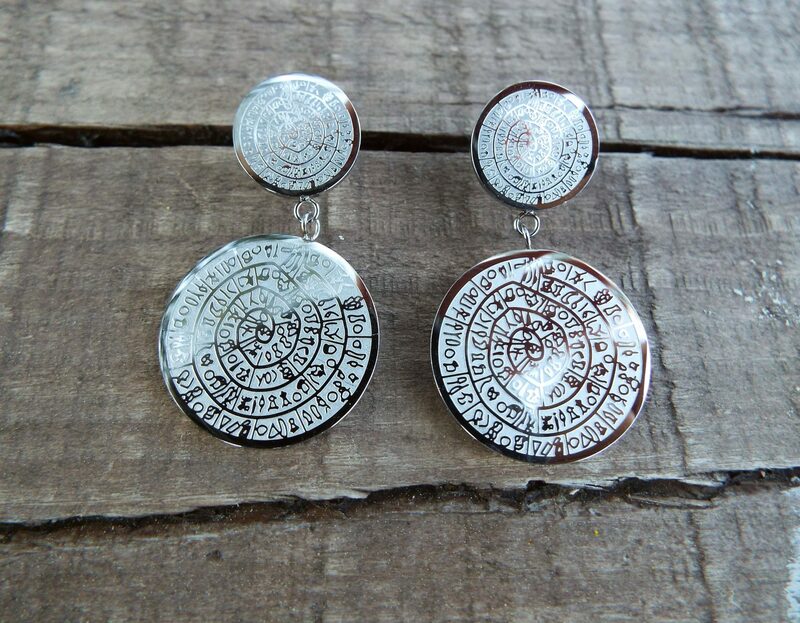 and the height of the Minoan civilization — until now. 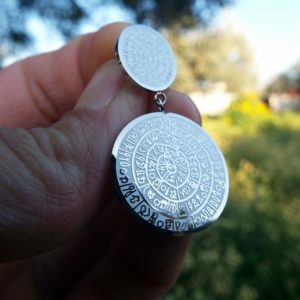 Dr. Gareth Owens, who has been studying what he cheekily refers to as the “first Minoan CD-ROM,” has figured out not only what the language sounded like but also some of the meaning it conveys, Discovery News reported. 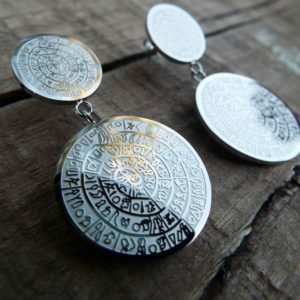 -IQE, which may mean “mother” and/or “goddess” and which appears repeatedly on the disk. 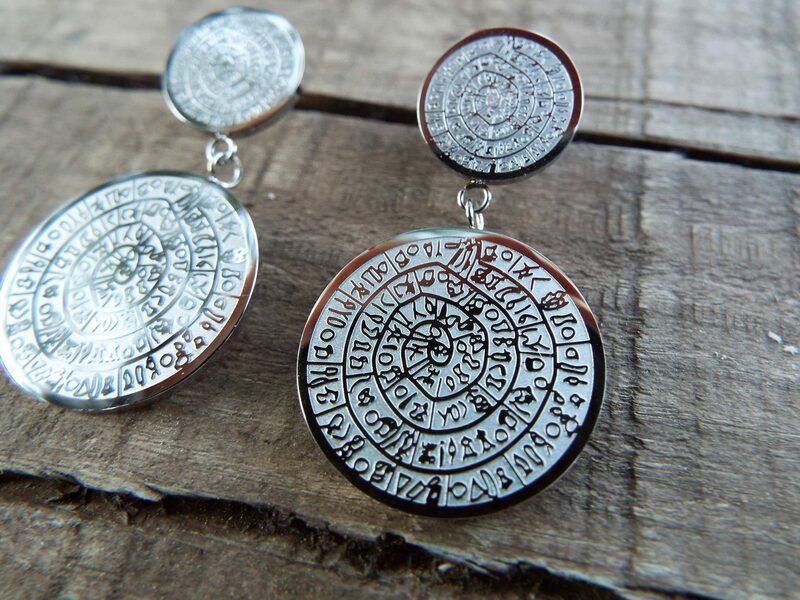 Owens concluded that the disk may contain a prayer to a Minoan goddess. 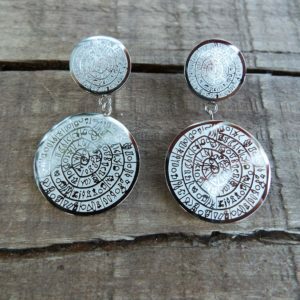 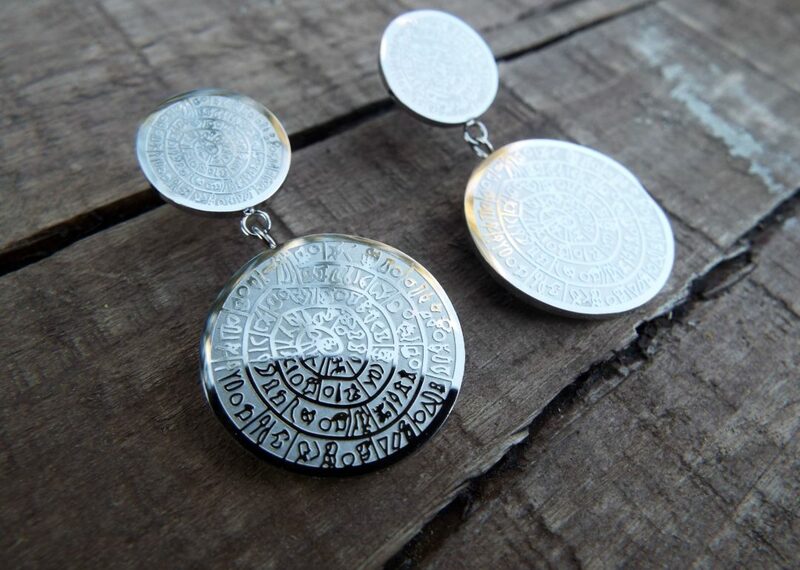 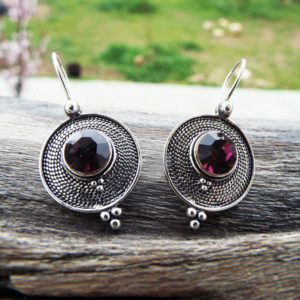 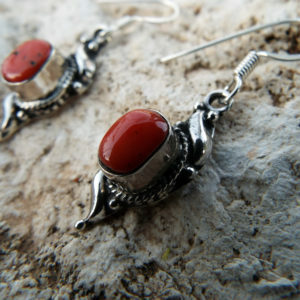 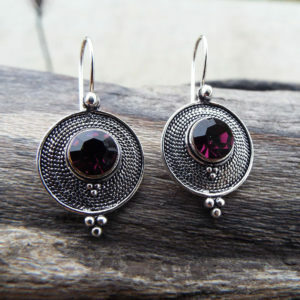 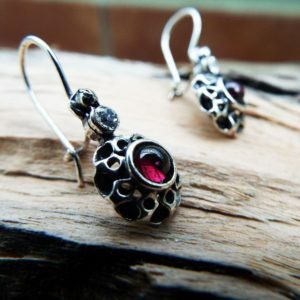 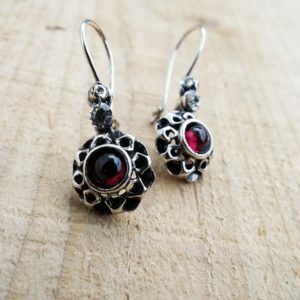 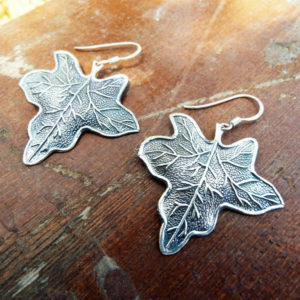 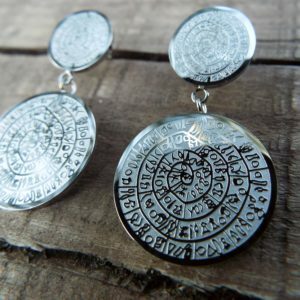 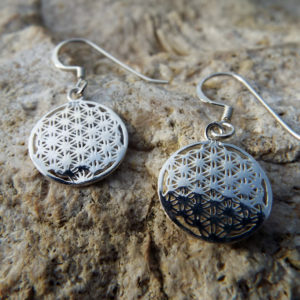 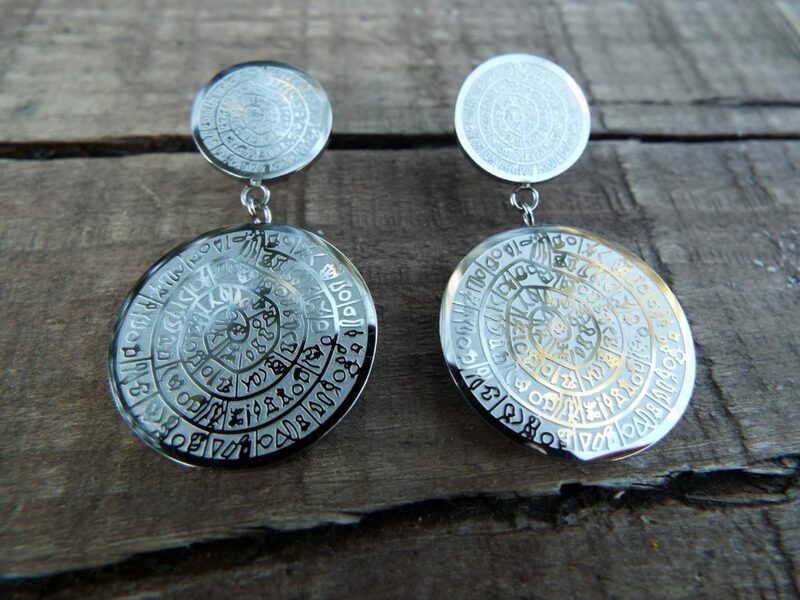 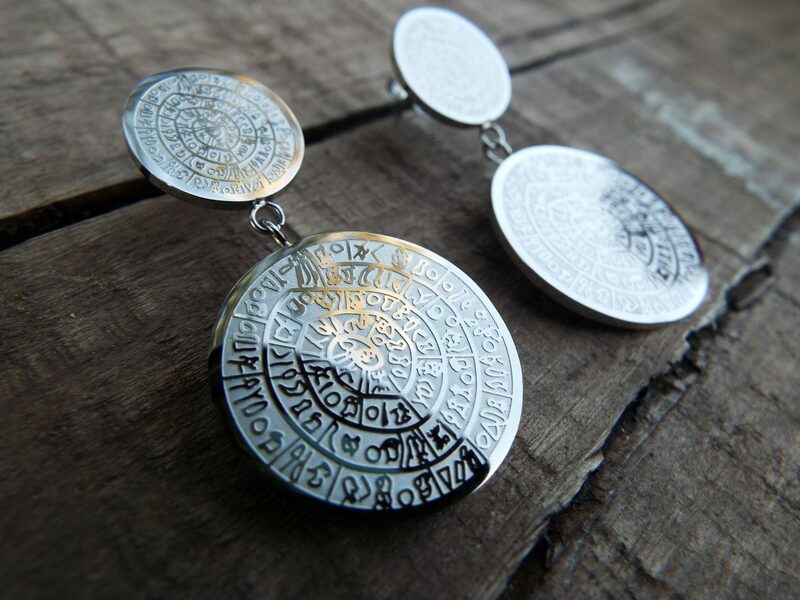 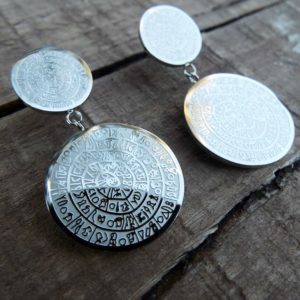 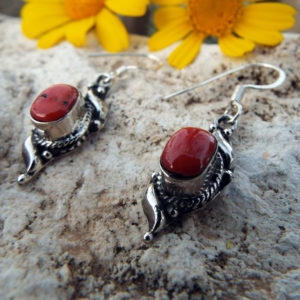 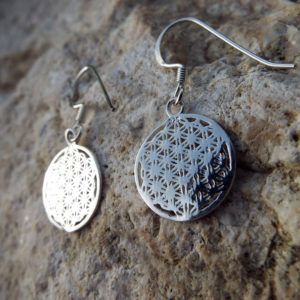 Embrace the energy of the Phaistos Disc with this handmade pair of earrings! 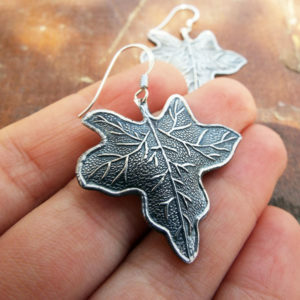 They’re made of silver stainless steel, which is incredibly solid so one has no fear of breakage or indentation. 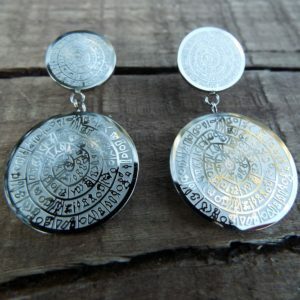 Also stainless steel never tarnishes and isn’t affected by the elements (fresh water, alcohol, air, seawater).